American Idol may be taking its final bow this season on Fox, but we'll forever be grateful for the music icons that the competition series gave us. While not every American Idol winner skyrocketed to fame after nabbing first place in the competition, the very first winner certainly did. 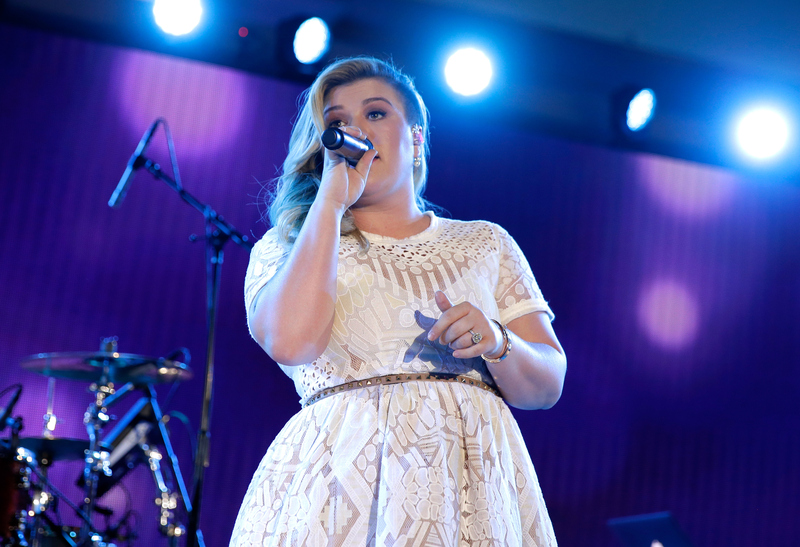 Kelly Clarkson has not only become a household name since winning the first season of American Idol in 2002, she has become a powerhouse singer and admirable celebrity in her own right. In February of 2016, Clarkson returned to American Idol to sing "Piece By Piece," a powerful song off her album of the same name. The song, which is about her difficult relationship with her father contrasted with the positive one with her husband, made many people wonder: did Clarkson write "Piece By Piece" herself? A lot of the reason why I wrote 'Piece by Piece' was I guess I didn't realize the gravity of the situation [with my father] until I had a child of my own, and until I experienced love like I do with Brandon on the daily... I guess you don't realize something is missing until you feel it. I can't imagine walking away from my little girl. I can't imagine not having that love anymore. I didn't know it was missing because I never had it. It was a revelation and that's why I wrote that song. I think a lot of people go through that. Check out the music video for "Piece By Piece" below — you may want to keep a box of tissues handy.